My usual position in a football team whether league, soccer or AFL was left right out, but I did try. I will also take this opportunity to apologise to you in advance because my views are bound to offend someone or everyone sooner or later. For the record I am a long time Dragons fan. 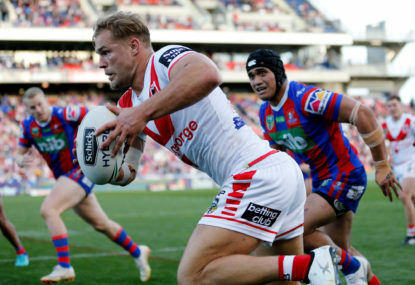 The Dragons need to consider the way forward now that Origin second rower Jack de Belin has been suspended on full pay for the duration of his criminal trial, which could take as long as two years until a verdict. Is there any point to NRL trial matches? 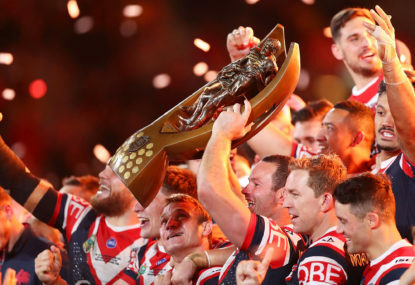 Injuries in trial matches are always a possibility prior to the beginning of the season, and with burnout and fatigue an increasing factor at the end of the season, many are questioning the value of NRL trial matches. 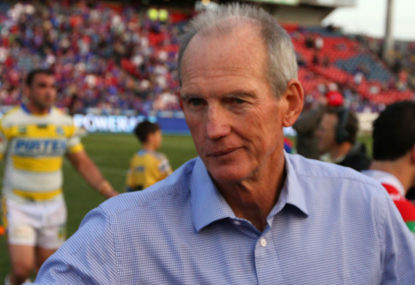 Rumours of discontent at Souths have probably been greatly exaggerated, but questions remain as to whether Wayne Bennett’s coaching style will fit in at the Rabbitohs. The Dragons' conundrum of what to do with Corey Norman? The St George Illawarra Dragons had a close look at Jarryd Hayne until he faced criminal charges last year. 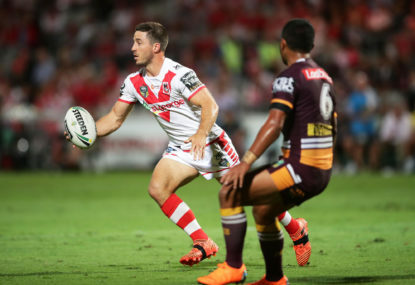 Now they have signed Corey Norman, so it is clear that the Dragons were after a playmaker to cover the uncertainty regarding Gareth Widdop continuing with the club. 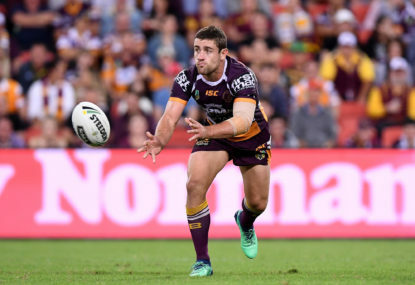 Can the Brisbane Broncos make the finals in 2019? Anthony Seibold faces a daunting task taking over from Wayne Bennett at the Broncos. Well, it was an extraordinary performance by the Broncos after their first-up loss to the Dragons. Can the Broncos match the Cowboys? 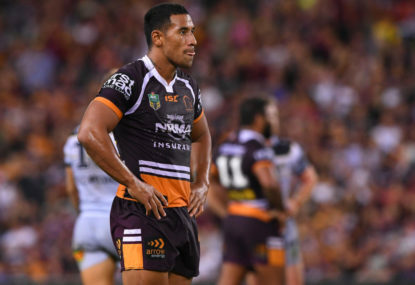 The Broncos face the Cowboys at home on Friday night and although it is too early in the season to suggest this is a vital match, it is true to say that a second crushing defeat would severely dent the confidence of the Broncos and their fans. I agree with your comment on Lafai who has been poor since leaving the bulldogs, but unless he performs this year it could free up some salary cap. The Dragons have been very quiet on the return of Charly Runciman and he still does not feature on their ISP or NRL squad lists despite Mat Head ISP coach acknowledging that he has been in training since mid-December. 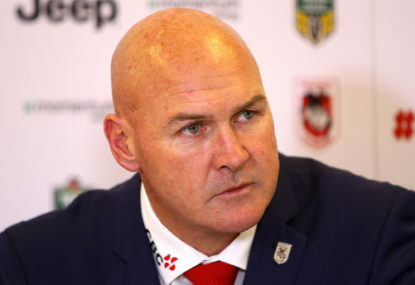 It could be that he is not in favour with Coach McGregor as he left after being ignored by him or alternatively they have already named 28 or 29 of the 30 man NRL squad and want to keep the remaining positions open to cover injuries or finally they may simply have run out of salary cap for the NRL squad in 2019, but will have plenty free after Widdop leaves in 2020. Third Party agreements where businesses seek to associate themselves with individual players are a legitimate way of funding which is not reliant upon NRL grants so I am in favour of retention. 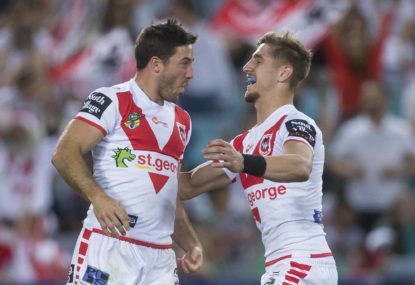 Kieran Foran and Bevan French are walking a tight rope, but the others should not be worried. I think that in 2018 he was doing too much passing and not doing enough running from 5/8 so maybe fullback will solve that. I thought they really showed some finals form in the last 2 games of the season which was lacking in previous years. 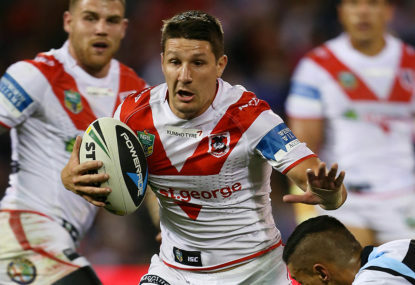 Well buying Corey Norman will do the Dragons no harm and I expect he will take Widdop’s 5/8 spot in the Dragons side. The rookies for the Broncos have to perform in year 2, but even if they do experienced teams will wack them at the end of the season. As probably an even older Dragons fan, I also have my great doubts about McGregor, which I have expressed in Articles each year he has been in charge. 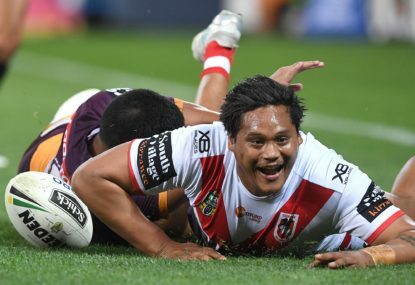 At least last year, for the first time, he started exploring ISP players ability with a positive rotation to give them a chance and the Dragons were impressive against the Broncos away and with massive injuries just barely lost to Souths. A better coach would however got there sooner. I still think this could be the Dragons year, but it would be nice if McGregor could progress as a coach at a faster rate because this will be his final year if he does not. Desire and motivation is certainly what they missed in 2018 or maybe they were just overpaid and over ate. Well I am mystified by your comment. In the past all clubs have universally attempted to minimise penalties for offending players unless the player was otherwise on their hit list. It is time that all clubs adopt a uniformly tough stance in order to eliminate the current epidemic of disreputable conduct by players who are damaging support of Club fans and sponsors. At this stage of the year more than 2 months after the end of the season and almost two months before the start of the season coming up with a story is like searching for water in the desert. Your comment is very well written, better than my article, and I would encourage to write more articles which I would look forward to reading. 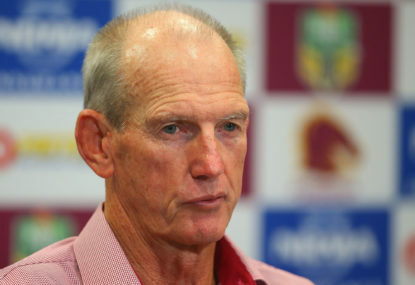 The Souths-Brisbane coach swap is very interesting as apparently neither club wanted the coach to continue with them but each wanted the other coach, so some club or maybe both have to be wrong. 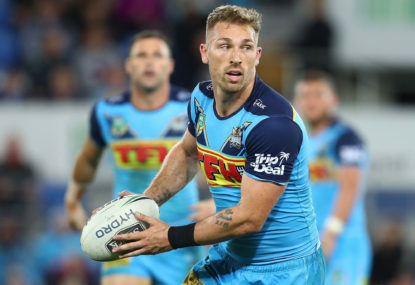 I agree that Dufty has been stuffed around by the Dragons saying that he had the fullback position and then the Dragons hiring Norman a week or two later throwing everything up in the air again. Jai Field and Darren Nicholls look like spending the year as halves in the ISP. Not looking forward to your run. 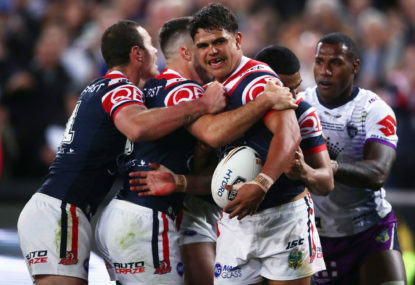 18 years is the legal age, but how many NRL players manage to get to adulthood while they are playing NRL and immersed in footy culture and the fantasy land of fans is another question. I guess will have a good indication when the young Broncos forwards face the Titans big pack in their last trial match. 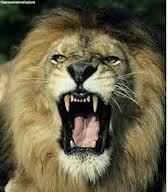 I agree with a lot you have to say but nothing matches experience in pressure games. The Brisbane halves had a big question mark over them last year but I thought that in the end event they did a good job. 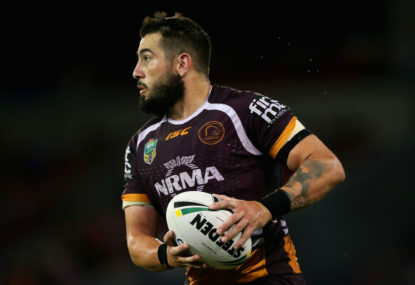 Jack Bird was just not the Jack Bird of 2017 for even one game in 2018. Attack can be up to individual skills, but defense is more of a team effort and that is where the problem lies for the Broncos forwards. 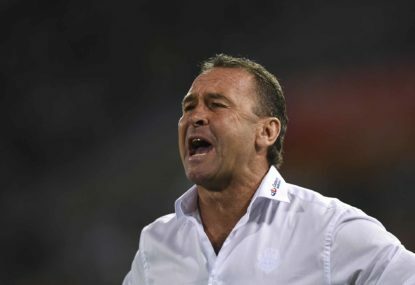 De Belin situation is not good for the club and at the very least this will be a giant distraction for De Belin and the Dragons. That said there are plenty of forwards such as Lawrie who can fill the gap. 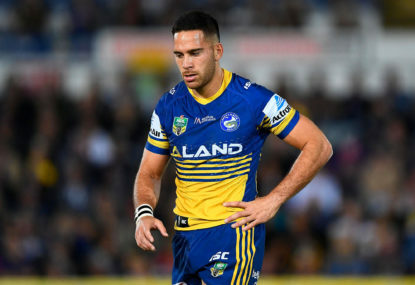 Corey Norman will provide additional attacking options and can always swap with Widdop during the game. 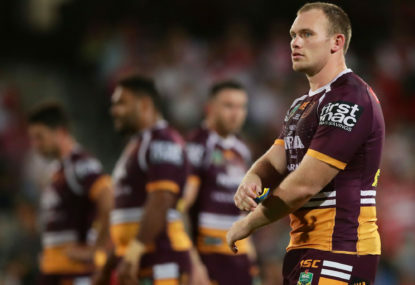 Broncos forwards are too inexperienced and crumbled under pressure from the Dragons forwards. Souths will be hard and it will come down to who has the best attack, and Leilua is vital and needs more time from McGregor. The Dragons were extraordinary against the Broncos but have a lesser axe to grind against Souths. The Broncos young forward pack also fell apart under the Dragons pressure and we cannot expect Souths to do the same. The bookies are tipping an easy win for Souths but while I do not expect a repeat performance from the Dragons I believe they are in with a chance assuming that Hunt can lift his game to make up for the absence of Widdop. I expect Frizzell to lead the way in the forwards and hope that Leilua will be given more game time to make a real difference in attack. I think you are right about the experience and confidence gained playing for Tonga against the big name teams and I think he scored 1 try.